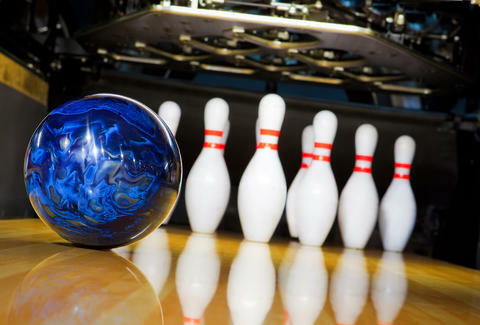 Because bowling is more about cheap beer, stale cigarette smoke, and picking up spares than appletinis, neon lights, and polishing your ball to Tove Lo, we rounded up the nine best classic bowling alleys in America. 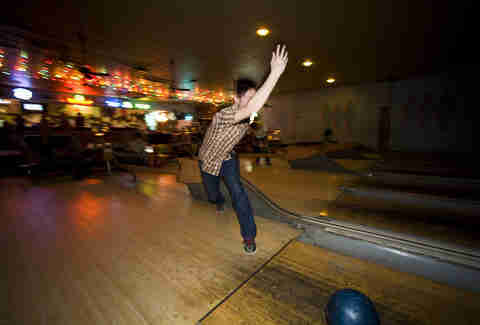 First opened in 1928, Action & Atomic is said to be the only authentic duckpin bowling alley in the Midwest, unless you count Nebraska as part of the region. 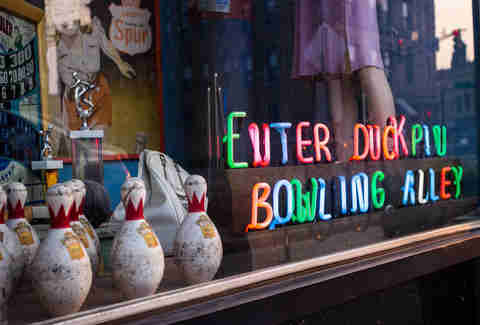 Though it was closed for almost 40 years, the owners have kept the early 20th century memorabilia, as well as seven lanes that still rock original equipment from the '50s and '60s. 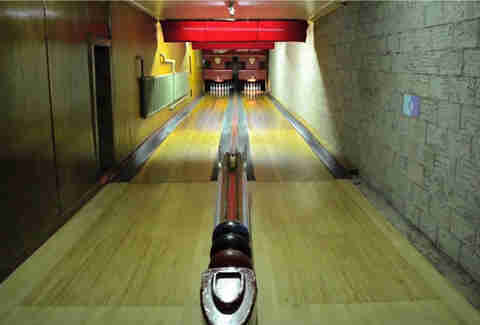 There are also eight vintage lanes upstairs, and a pool table from 1918(!!). Despite upgrading to flat screen TVs, this over-50-year-old alley still maintains its 60s charm. 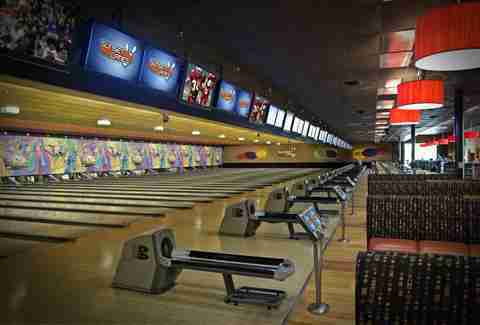 With 36 lanes, Cosmic Bowling theme nights, and prices that'll make you think you've stepped back in time, Sunset's got everything you've always loved about a vintage bowling alley. This place has it all: manual scoring, questionable shoes, and a nice musty scent. Open since 1945, the cash-only, family-owned alley retains its historic roots, pours cheap booze, and even lets patrons bring in outside food. The longest running family-owned bowling alley in America, this no-frills spot has been open since 1938 and is popular for its leagues and specialty pizza. The oldest sanctioned lanes in the country are located in the basement of this 1908 tavern, making Holler House the first official bowling alley in the United States. With original wood, hand-handled pins, and handwritten scorecards, you'll feel like you stepped back in history. But don't let the Victorian-era equipment fool you, this joint reportedly gets crazy wild -- like, women-hanging-their-bras-from-the-rafters wild. 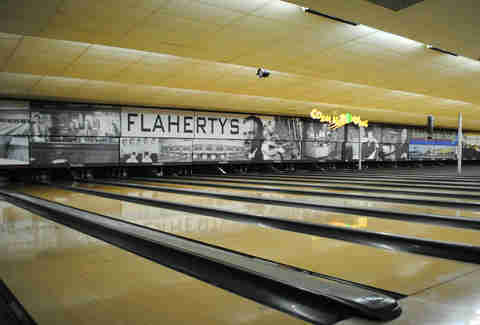 Bands, beer, and bowling -- this place is all New Orleans. Opened in 1941, there's no electronic scoreboard, prices are cheap (as in, a buck for shoe rentals), and a live band plays every night. 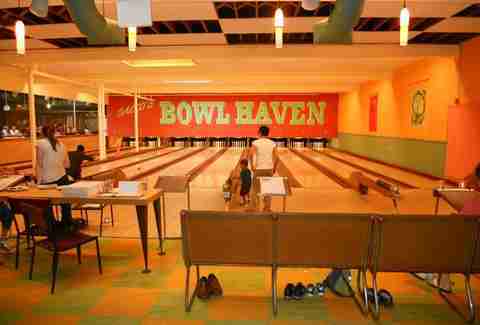 This 10-lane duckpin spot off Davis Square dates back to 1939 and has the equipment to prove it -- think gravity powered ball return and handwritten scorecards. Things got a little more modern in 2010, though, when The Flatbread Co. bought the joint and added an alley-length bar and wood-fired pizza oven. 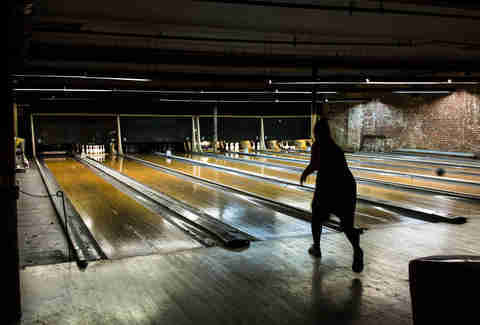 New York City is filled with fancy bowling alleys that could double as nightclubs, but this new-retro spot (opened in 2006) opts instead for a more laid back approach, with wooden lanes taken from a 1970s Ohio alley, vintage décor, and a classic bar. Games cost only $7, and you can even bring in your own food. 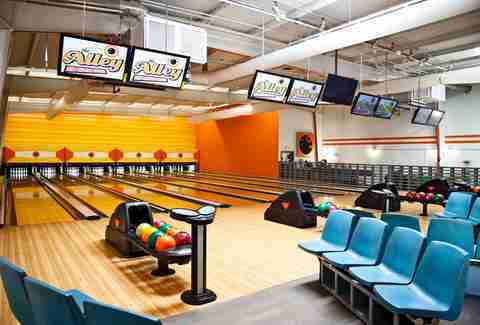 It may only have opened in 2012, but the owners took great care to turn this converted warehouse into an eight-lane, retro bowling alley ripped straight from the '70s, complete with vintage arcade games and a bar made from recycled bowling lanes.